Olympic hockey was so captivating that I've had trouble, even all these weeks later, coming back to the NHL. And I've really had trouble coming back to the Boston Bruins. For those who haven't followed the Bruins lately--and that's probably everybody in the world except for maybe 20,000 Boston-area residents--trust me when I say that they're heartless, gutless and mostly worthless. Oh, I haven't switched my allegiance. I couldn't do that. I'm just fed up with what has mostly been an uninspired season from a bunch of guys who haven't seemed to care much about wearing the spoked B. So, when the B's played a big game in Atlanta tonight, with both teams vying for the final spot in the playoffs, I wasn't going to watch...but, of course, I did. And I got into it. 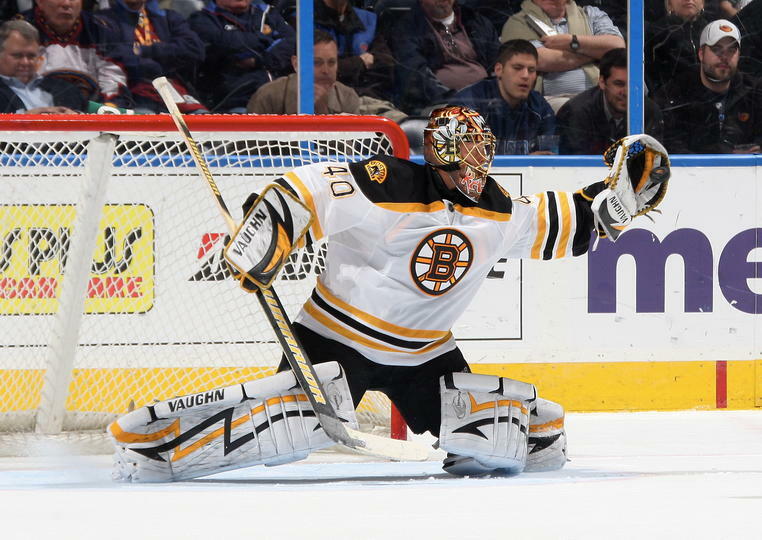 I cheered goals; I breathed sighs of relief at each save by Bruins goaltender Superfly (my nickname for him...) Tuukka Rask. And here's the worst part--the B's won (in a shutout), and in doing so they took a pretty important step toward guaranteeing a first-round playoff exit. No, no, they won't. If the B's make the playoffs, Washington, Pittsburgh, New Jersey or just about anybody they play will likely beat them in five games even if the Bruins play at their best. I know this. I have to know this. And yet I'm back, again, watching. Following. I can't quit this team; I just hope it hasn't quit on me. If tonight is any indication, Atlanta is truly awful...and the B's still have some fight left in them. (Maybe more than some--they also managed to knock off the Rangers last Sunday in another big game.) Enough fight to give me hope? Nah, but it doesn't matter. I'm back on for the ride. Again...even though I know how it'll end. See? Disappointment. Losing to Tampa Bay at home. They never fail...to fail. And now 5-0 over Calgary...and I'm hopeful again. But not really.